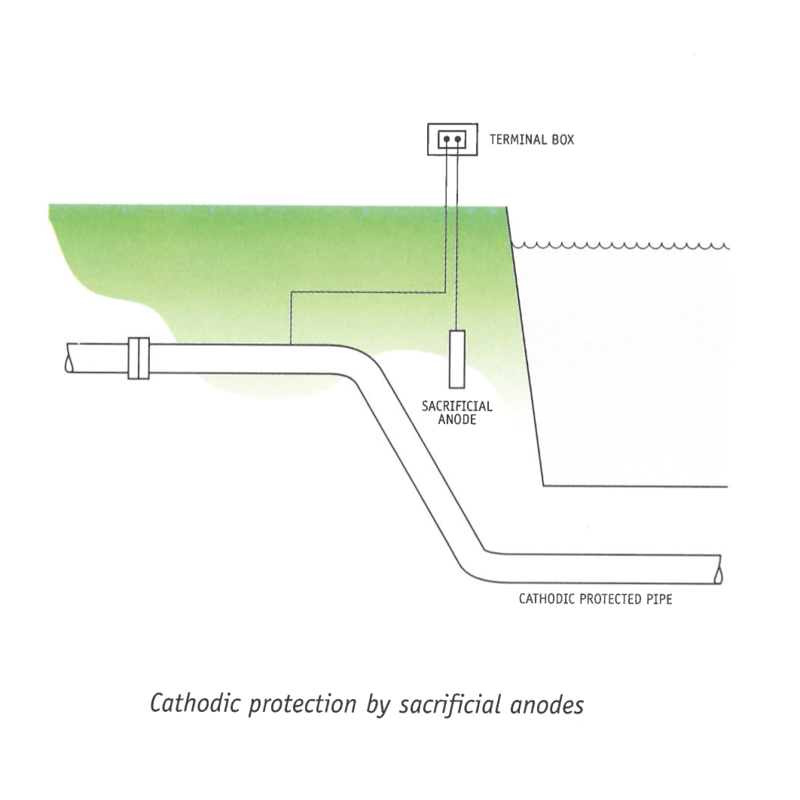 – An electrolytic (in water or moist soil) contact between the rectifier or sacrificial anode and the surface to be protected. For this reason it is not possible to protect surfaces without electrolyte contact. This makes it impossible to protect steel surfaces above the liquid surface or the external tank surface above ground. 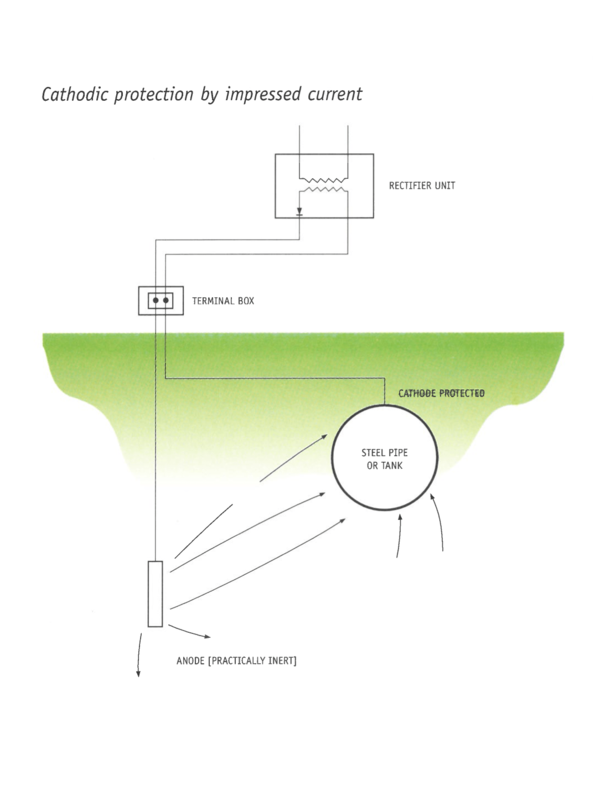 A suitable coating can prevent atmospheric corrosion. Apart from the design and delivery of complete CP systems, Vandervelde Protection can also deliver the required CP materials. for the transport of oil, gas, water, chemical products etc.